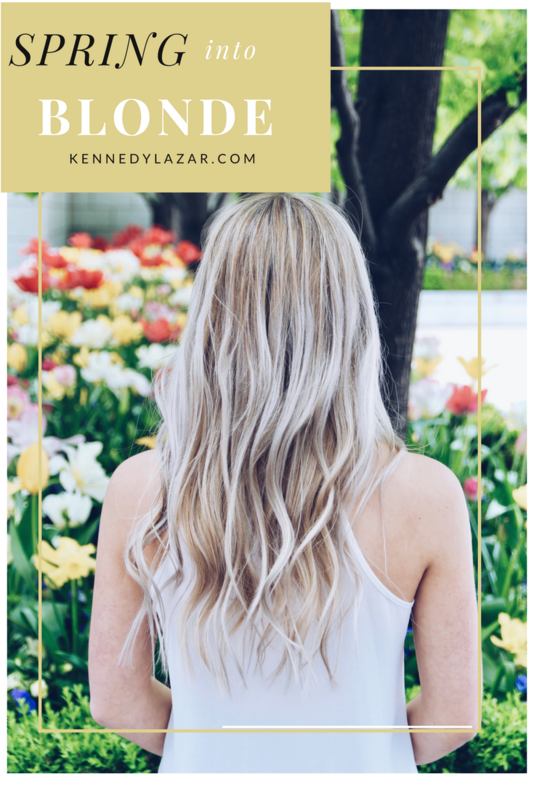 As a dirty blonde gone gray (or ashy blonde), I find myself constantly fighting with the brassy undertones and dull, dry hair we all get after playing around with our hair color. 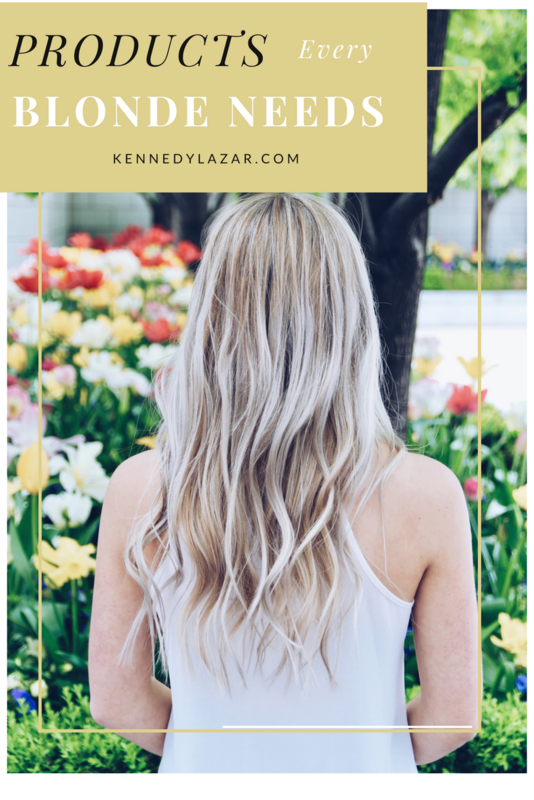 While I am consistent with haircuts, I’ve found that there are 5 major products I owe my healthy (and ashy!) hair too. I swear by purple shampoo. Without it, my hair would be orange, literally. The gray is only present throughout the time in between salon visits because of this shampoo. My wonderful hairstylist Shawnee gave me a tip one time about purple shampoo. She said that if the shampoo stains your hands in the shower, you’ve got a good one. The reasoning behind this is that if the shampoo is staining your hands, that means that it is actually pigmented, and will make take the brass out. 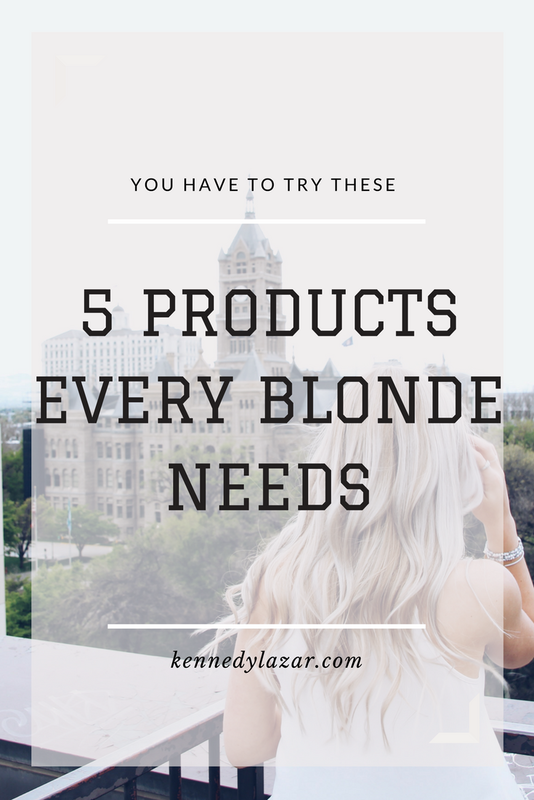 My favorite shampoo, and recommended by many hair stylists, is Pravana The Perfect Blonde. It’s sulfate free, and smells amazing. This shampoo stains my hands until the end of my shower. Seriously. I also use this Joico Color Balance Conditioner which also smells great and helps tone my hair just a tad more! There are two ways I use this shampoo. One is on wet hair, where I usually will put it all over, and leave it on for about 5 minutes before washing off. 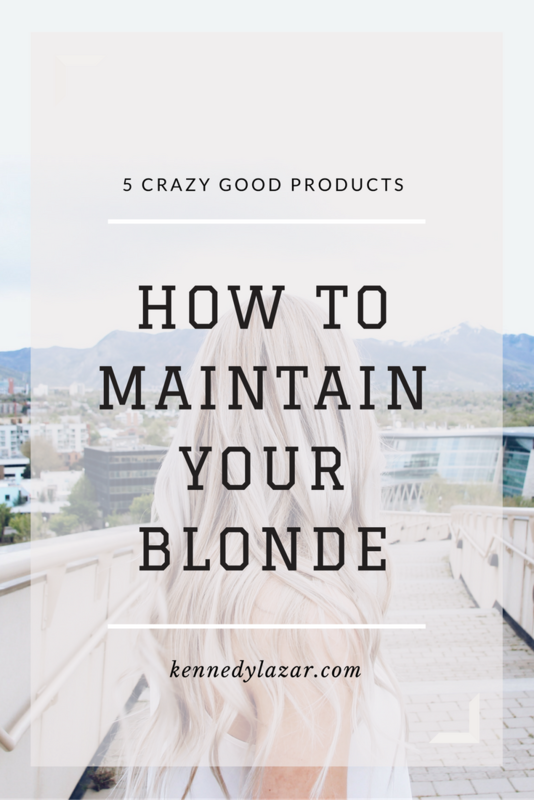 The other is to put it on dry hair, especially when you are having an extra “brassy” day and leave it on for 10 minutes, before washing. This is one of those secret tips I learned, and it works like a charm! Leave-in conditioners are a must when keeping your hair healthy, as it is extra moisturization at the ends of your hair, right where you need it. My personal favorite is R&B by Lush. This stuff smells like Gardenia, and you only need a little bit for each use! One jar lasts me months so it definitely is worth the price! I use it after the shower, and on occasion will use a tiny amount on dry hair when my ends are looking fried. While you can wash your hair every other day, use a leave-in conditioner, and buy moisturizing shampoo, you need to use hair masks. There is absolutely no way of getting around it, without having dry hair. Once a week is all you need for happy, healthy hair. Trust me on this one, your hair will thank you. One of my personal favorites is Oh Hello Hair’s Original Mask, or you can get it on Amazon here. I absolutely love this product because it is all natural, and leaves my hair feeling so soft. When I use it, as I’m prone to oily hair, I only put it on the tips of my hair, and shampoo twice after use. However, it is meant to be put all over your hair so lather up! Like I stated early, I am crazy prone to oily hair, and I’m extremely picky when it comes to dry shampoo. I’ve tried tons, and have never found one that I loved until I was introduced to blowpro Faux Dry Shampoo. My hair instantly looks better when I use it. Sometimes I even use this product when I curl my hair and need some extra volume, and hold. So basically, you get two for the price of one! Your hair looks washed, and your curls stay in all day. What more could you want? What are your favorite hair products that you swear by? Leave a comment below, and let’s chat! Purple shampoo is so key for blonde hair. I am always so thankful for it! Love your hair! Great post! I’ve got to try a hair mask! So I am a huge fan of Joico products. I use their purple shampoo right now, and love it. A friend also told me about this Blonde Brilliance line, also sulfate free, but a lot cheaper than most purple shampoos, so I tried it out. I love how pigmented it is (it definitely stains my hands! ), but I have this constant battle with my hair turning TOO blue/getting too tinted with some purple shampoos. It’s been a journey trying to figure how often to use it, how long to leave it in, and which ones to use that work best for my hair. My hairdresser told me I have extremely porous hair, which is why it takes to pigment so crazy fast. But I love seeing what products other gals are using that work, because there are so many out there!! Thanks for sharing! You can see my hair journey over on my blog — http://www.shopatdarling.com/blog. nice article, I need to check the purple shampoo out.